Компания Биомонт является официальным экспортером цветных металлов из Австралии в Европу, Азию, Южную Америку и США. По годовому экспорту продукции и финансовым показателям компания входит в тройку ведущих компаний Австралии. Целью компании является объединение отраслевых гигантов и небольших клиентов, работающих с минимальными комиссиями и максимальным качеством продукции. 08.04.19 09:37 Transfer Sent Payment: 60.00 USD to account U20479242 from U1294xxx. Batch: 254818088. Memo: Shopping Cart Payment. Create deposit all-hyips.info. 09.04.19 14:05;Account;Receive;Received Payment 1.88 USD from account U20479242 to account U1294000. Batch: 255018045. Memo: API Payment. BIOMONT. 09.04.19 03:16;Account;Receive;Received Payment 1.62 USD from account U20479242 to account U1294000. Batch: 254941616. Memo: API Payment. BIOMONT. 08.04.19 18:00;Account;Receive;Received Payment 1.46 USD from account U20479242 to account U1294000. Batch: 254903912. Memo: API Payment. BIOMONT. 10.04.19 18:08;Account;Receive;Received Payment 1.6 USD from account U20479242 to account U1294000. Batch: 255233773. Memo: API Payment. BIOMONT. 10.04.19 12:39;Account;Receive;Received Payment 1.00 USD from account U20479242 to account U1294000. Batch: 255170338. Memo: API Payment. BIOMONT. 10.04.19 03:20;Account;Receive;Received Payment 2.33 USD from account U20479242 to account U1294000. Batch: 255109368. Memo: API Payment. BIOMONT. 12.04.19 03:51;Account;Receive;Received Payment 1.55 USD from account U20479242 to account U1294000. Batch: 255435207. Memo: API Payment. BIOMONT. 11.04.19 19:01;Account;Receive;Received Payment 1.16 USD from account U20479242 to account U1294000. Batch: 255402140. Memo: API Payment. BIOMONT. 11.04.19 12:25;Account;Receive;Received Payment 1.67 USD from account U20479242 to account U1294000. Batch: 255332183. Memo: API Payment. BIOMONT. 11.04.19 02:52;Account;Receive;Received Payment 1.52 USD from account U20479242 to account U1294000. Batch: 255270514. Memo: API Payment. 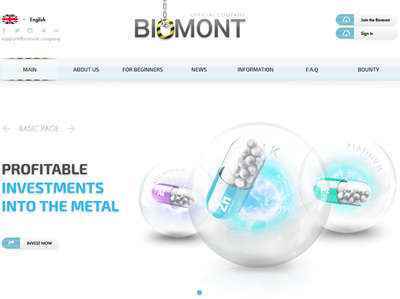 BIOMONT.